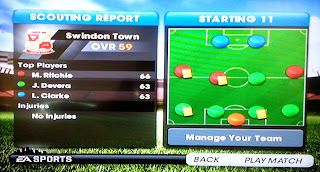 So, I'm playing FIFA 12 a lot. I'm aware that any soccer enthusiast will now be calling me all kinds of names because I'm playing a game which is an entire 3 years old, but it was £2, so there. 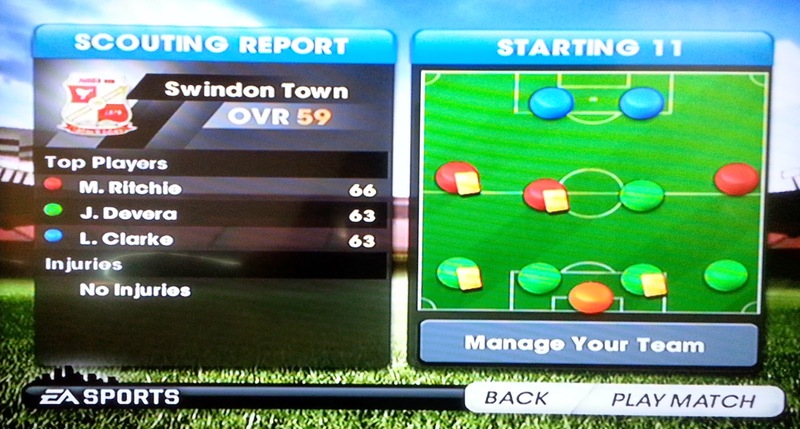 For much of my spare time over the last week I've been managing Bradford City and helping them to work their way up the leagues, win cups, that sort of thing. And I thought that I'd share a few of the action packed moments with you? 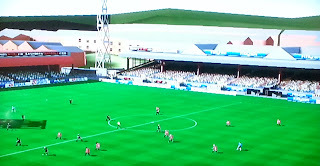 Here we are facing the deadly Swindon Town. They apparently have an OVR of 59. I'm not entirely sure what OVR stands for, but the higher the number is, the tougher they are to beat. 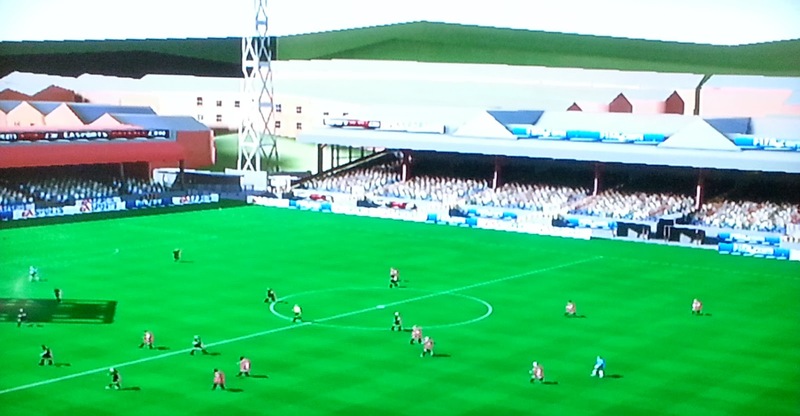 The team from Swindon was seriously hampered when they chose to play eleven coloured dots instead of actual people. I would note that the game attempts to sabotage my team by rearranging my players periodically, generally putting my best players in reserve and instead equipping my team with a variety of cleaners and lollipop men. Here's all the action going on. I have many many pictures that look like this, and they're all just as informative. 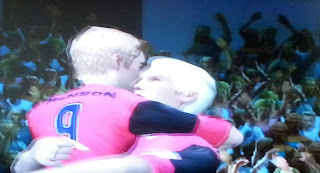 And because I'm such an ace player (aka I have it on "easy"), I score goals, and the below happens a lot. That is to say, things get physical.